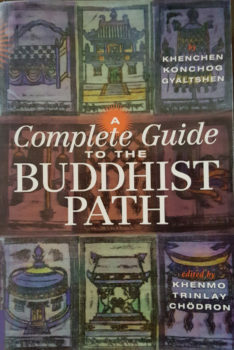 Join a senior student as they lead a discussion from the book “A Complete Guide to the Buddhist Path” by Khenchen Konchog Gyaltshen. Buddhist teachings provide numerous methods for bringing greater meaning and happiness into our lives and into our relationships with others. In his book, Khenchen reveals these methods in direct, vibrant and down-to-earth language. Held in the lower level.